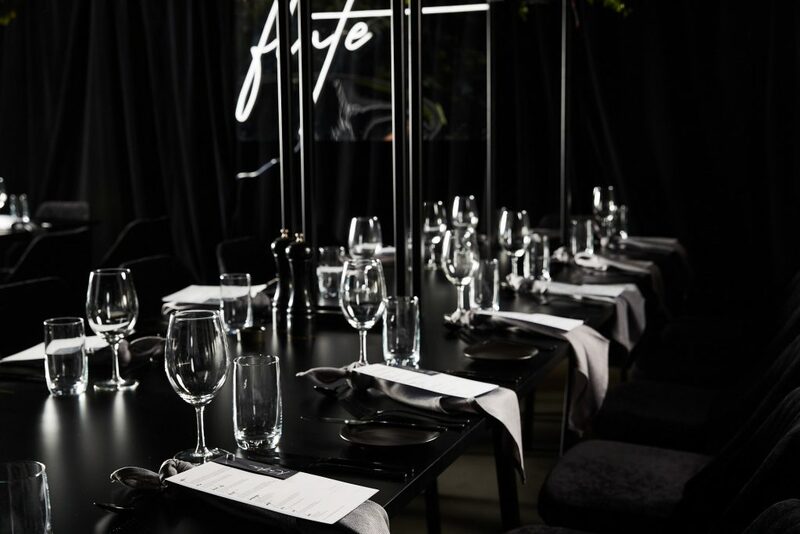 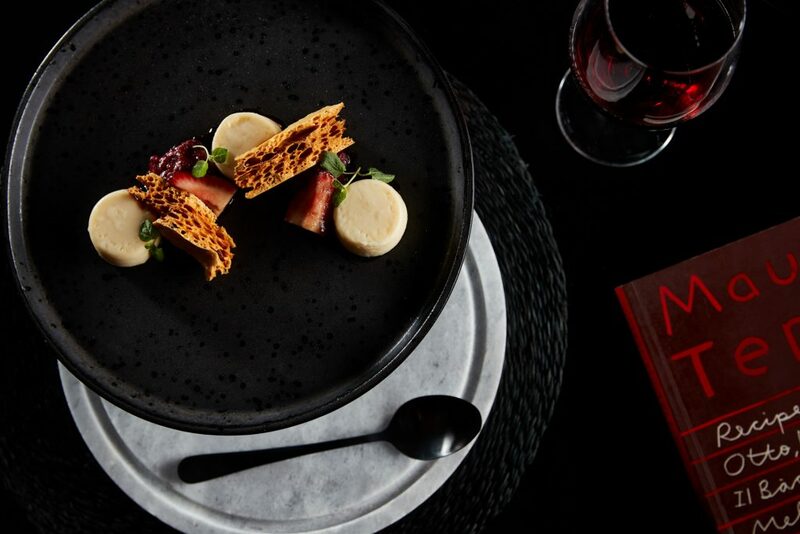 Flute Private Dining at Rydges Melbourne is a dining experience like no other. 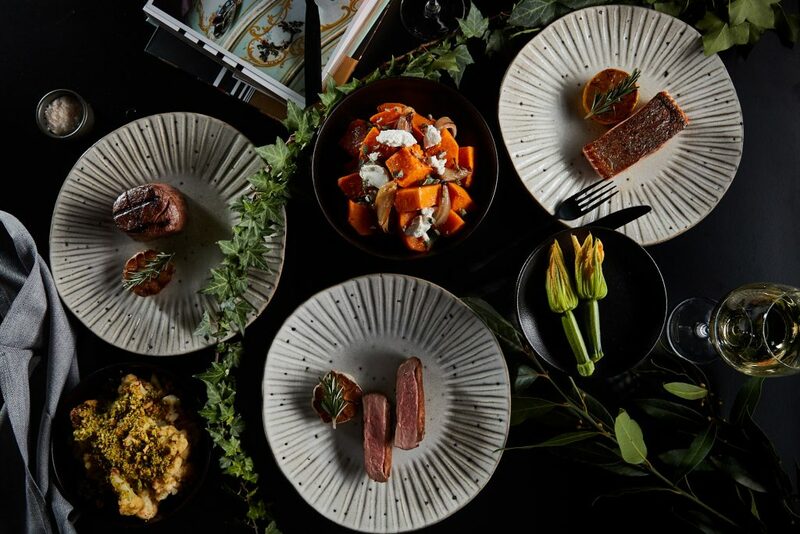 This unique pop-up will be returning from the 23rd of November to the 25th of December 2018. 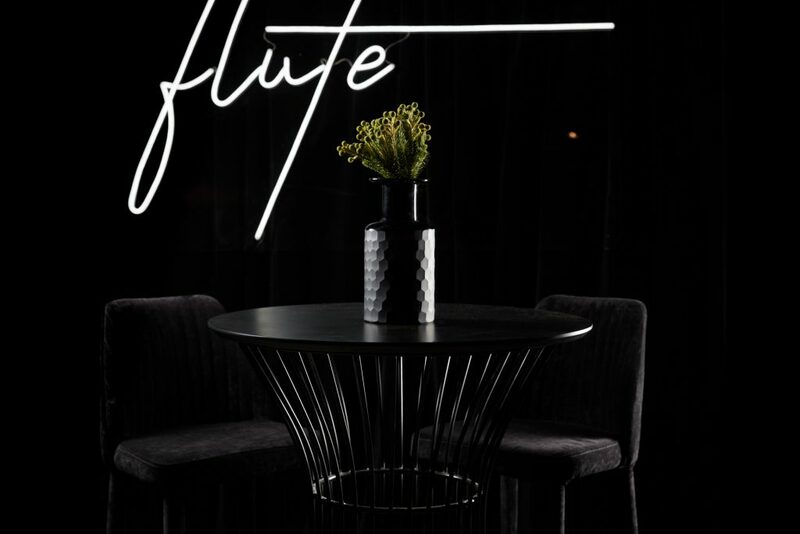 Launching in 2017, Flute Private Dining in partnership with G.H. 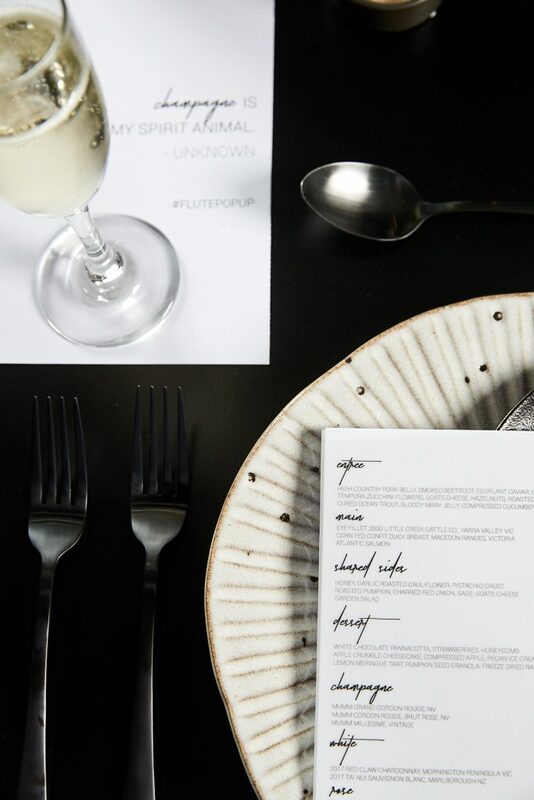 Mumm sold out all sessions and received rave reviews for its innovative approach to pop-up private dining. 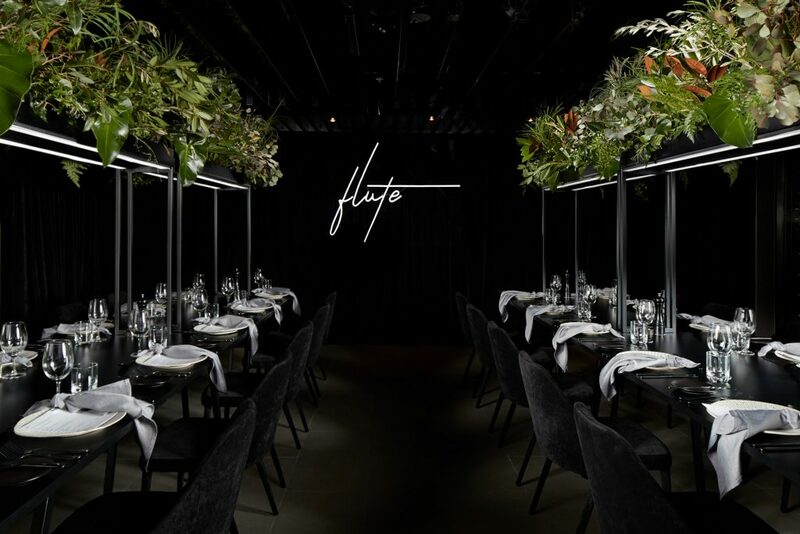 Leading Melbourne event specialists, Belinda Fitzpatrick has created a bold, dramatic, minimalist design concept, some might say inspired by black-hued loving Melburnians, has once again been charged with the dramatic makeover. 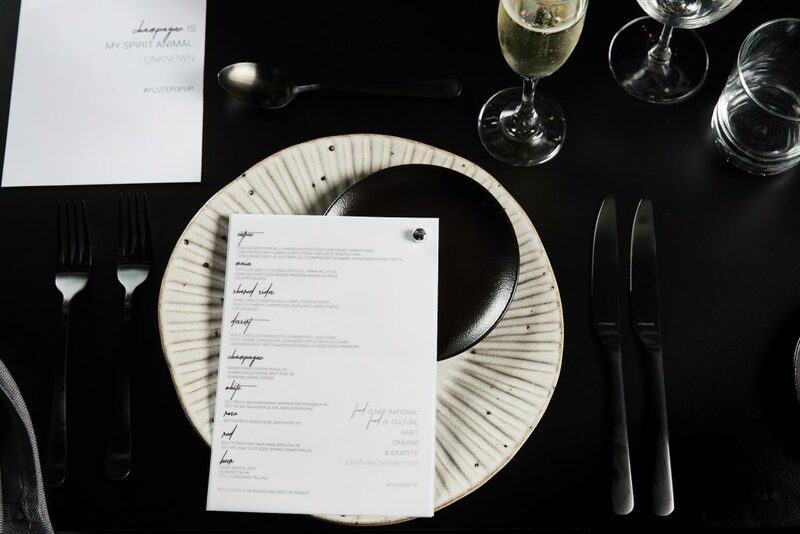 “Our team have explored unique ideas and creative concepts in order to achieve a dramatic makeover”, says Founder and Director Belinda Fitzpatrick from The Three Piece Suit. 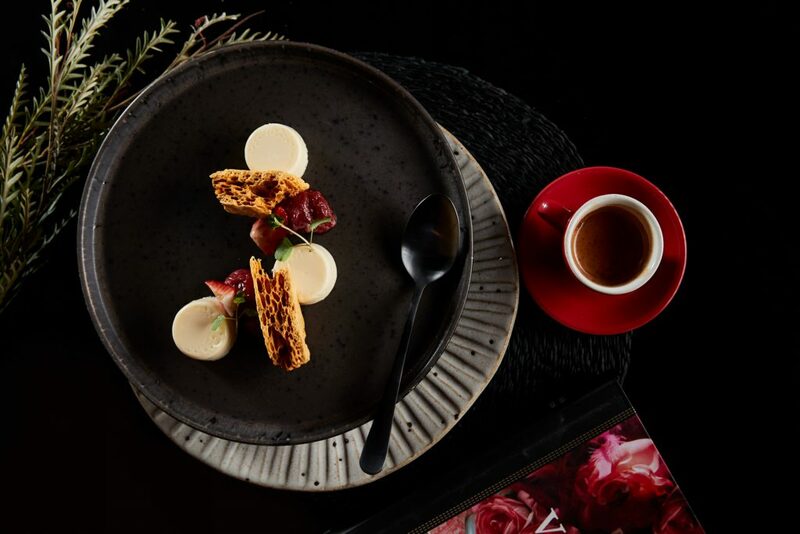 “Our vision allows for a shift in sensory experience which is more important when leading guests from an existing hotel environment into an exclusive pop-up dining scene. 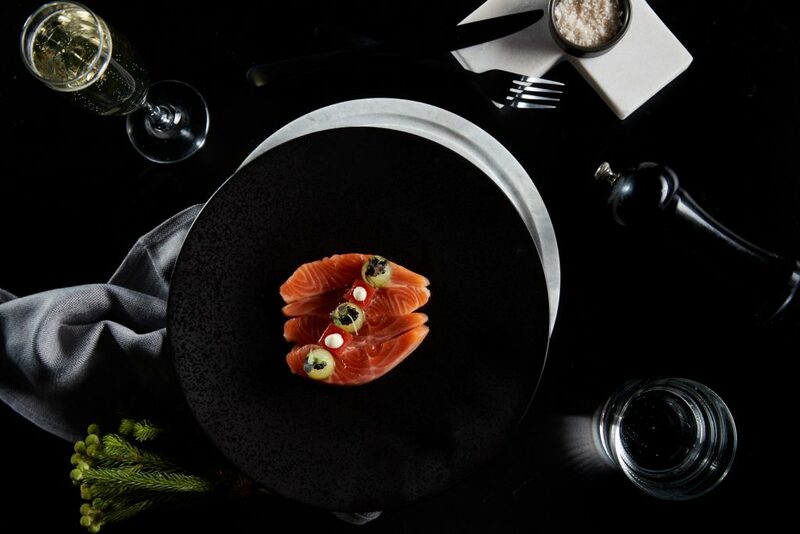 A daring black canvas will provide the base for a setting that is striking, yet minimalistic, allowing the food and beverage to be the true feature. 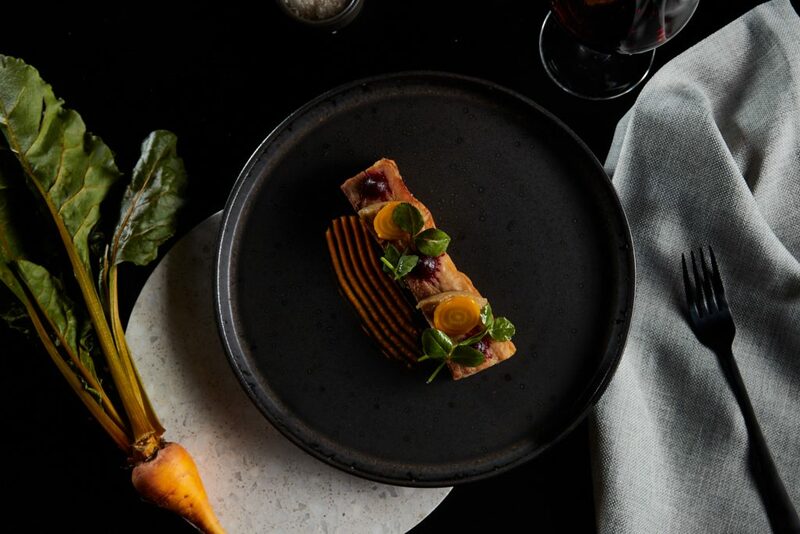 Executive Head Chef Paul Griffiths has created a menu of refined upscale seasonal dining, a true synergy between sustainable produce and modern design. 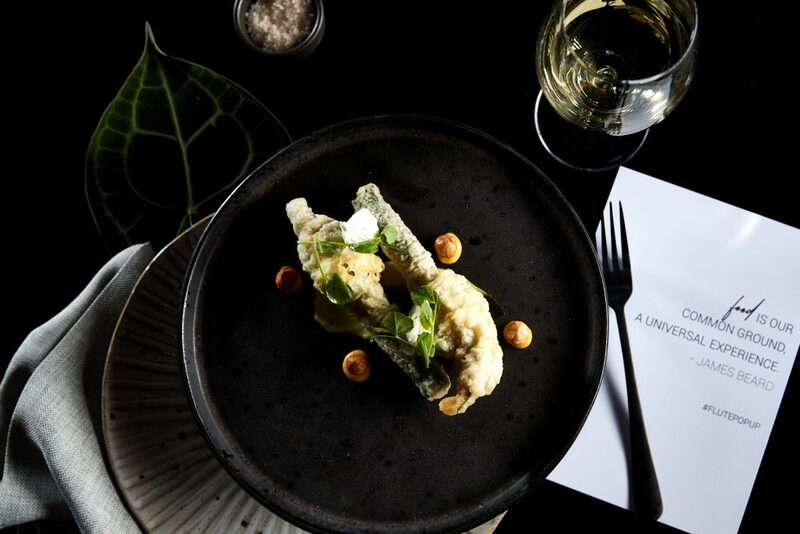 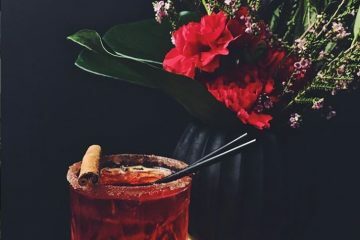 Choose from a range of sumptuous fare and celebrate the season with either a traditional banquet or mingle within an inspired cocktail setting for lunch or dinner. 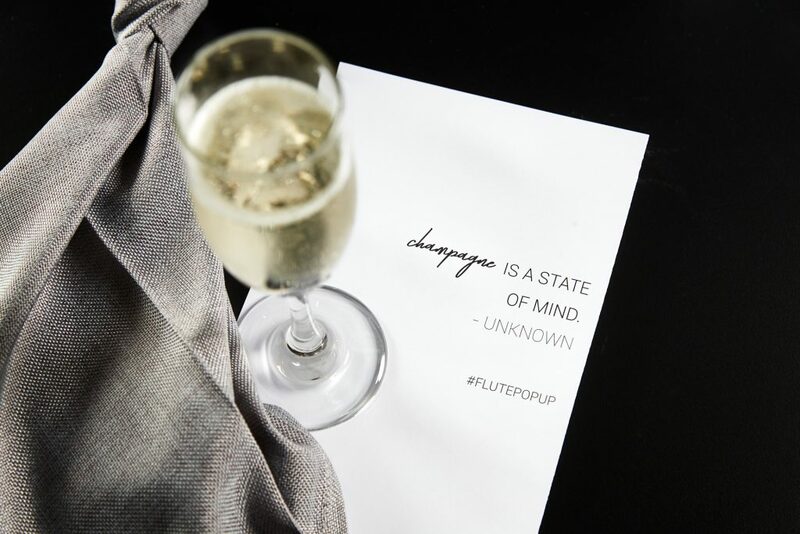 Drink will flow from your very own Mumm bar and the attentive team at Flute Private Dining will ensure that guests have their every need attended to. 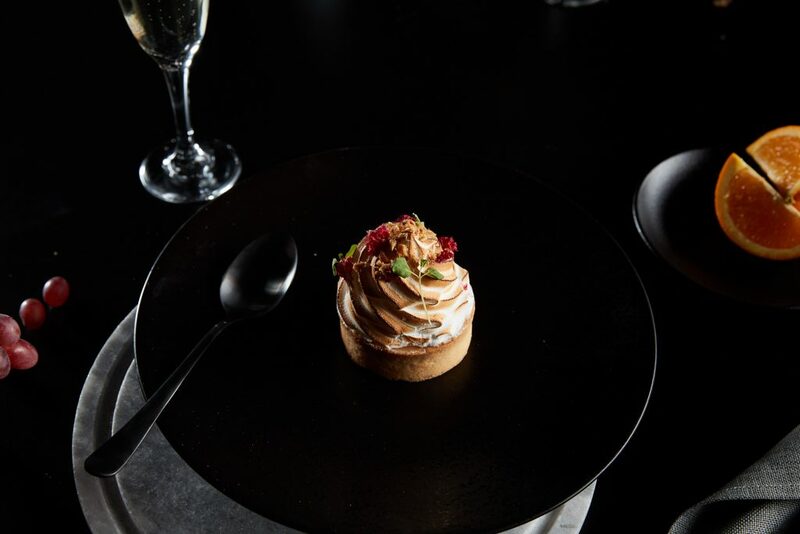 The Private Dining pop-up can accommodate groups of up to 80 seated or 120 cocktail. 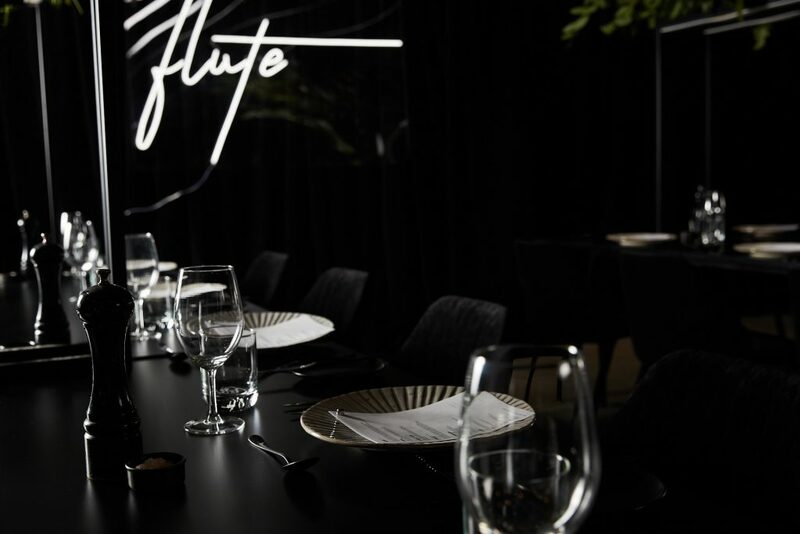 Flute Private Dining is also set to open to the public so smaller groups and Melbourne foodies can still enjoy the sensory food experience. 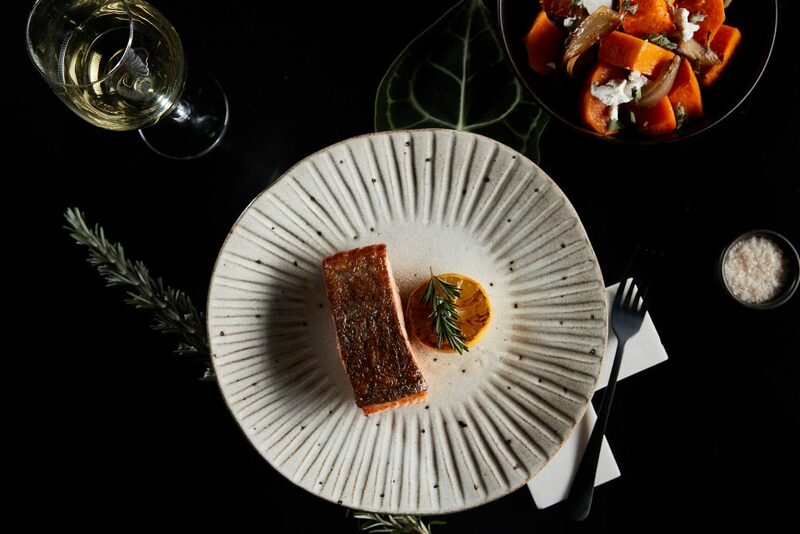 To stay up to date with Flute Private Dining dates and details you can sign up to Flute’s sister restaurant Locanda Restaurant & Bar.